Product prices and availability are accurate as of 2019-04-15 03:53:42 EDT and are subject to change. Any price and availability information displayed on http://www.amazon.com/ at the time of purchase will apply to the purchase of this product. 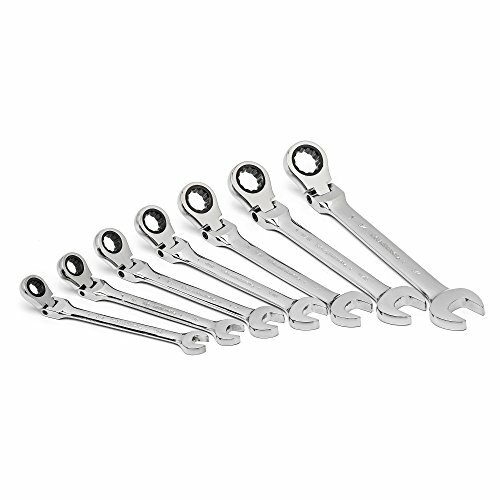 Gear Wrench, 7 piece, SAE, flex head, combination ratcheting wrench set, flex head tilts up to 180 degrees at any interval, ratcheting box end needs as little as 5 degrees to move a fastener, serrated beam allows you to feel which way to pull, mirror polish finish, fully hardened, all metal construction, surface drive box end virtually eliminates the rounding of fasteners, contains sizes: 3/8", 7/16", 1/2", 9/16", 5/8", 11/16" & 3/4". 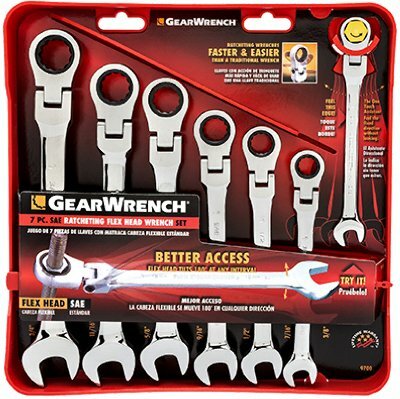 Gearwrench combines the speed of a ratchet with the access and control of a wrench with this 13-piece SAE set of flex-head combination ratcheting wrenches (model 9700). The handy flex head tilts up to 180 degrees at any interval for excellent access to fasteners, and it has a spring washer design that provides continuous head tension. The serrated wrench beam allows you to feel which direction to pull. They offer the easy of 5 degrees of movement to turn fasteners, versus 30 degrees on standard combination wrenches. The small ratcheting box end head design enables access to tight spots where a ratchet won't fit. 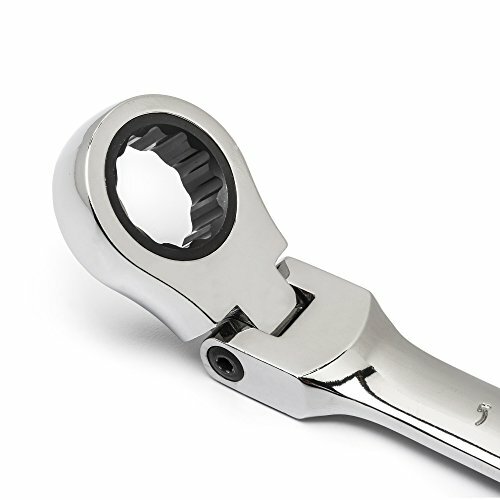 The open end allows ratcheting of nuts and bolts without removing the wrench from the fastener, making jobs go faster and easier. This set comes with a wrench locker rack that holds the wrenches in place for easy transport and storage. 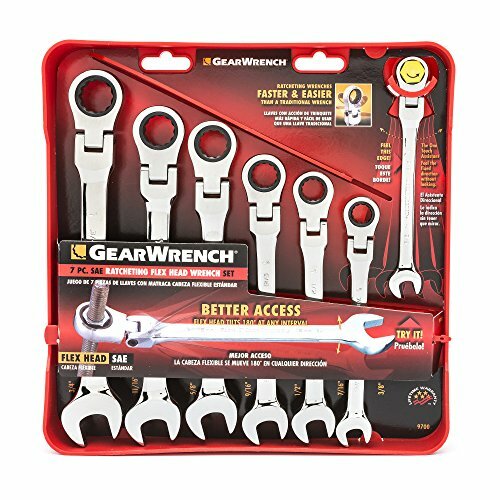 3/8", 7/16", 1/2", 9/16", 5/8", 11/16", and 3/4"
Since launching the original patented 50 ratcheting wrench, GearWrench has continuously led with breakthroughs in pass-through ratchets, sockets, screw/nut drivers, pliers, and specialty tools. No matter the industry you find yourself in, GearWrench has the tools to fit your needs -- from the precise to the nearly indestructable. 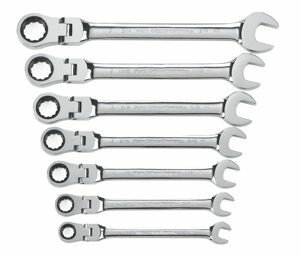 GearWrench hand tools are warranted for life to be free of defects in material and workmanship.